CARFAX One-Owner. Clean CARFAX. 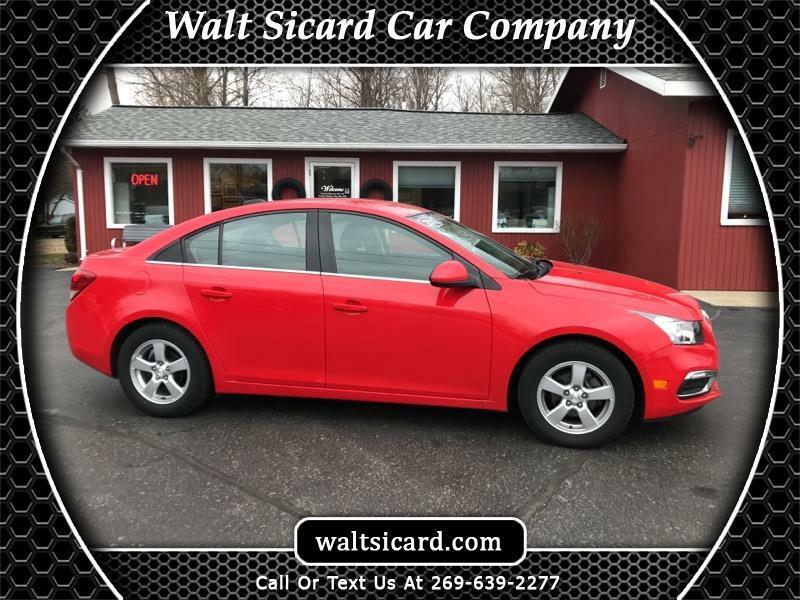 Red Hot 2016 Chevrolet Cruze Limited 1LT FWD 6-Speed Automatic Electronic with Overdrive ECOTEC 1.4L I4 SMPI DOHC Turbocharged VVT 2016 Chevrolet Cruze Limited 1LT in Red Hot, Sought After Options Include, 1LT Driver Convenience Package, Auto-Dimming Inside Rear-View Mirror, Driver 6-Way Power Seat Adjuster, Driver/Front Passenger Illuminated Vanity Mirrors, Outside Heated Power-Adjustable Body-Color Mirrors, Preferred Equipment Group 1SD, Remote Vehicle Starter System.